Access Flooring is a complete flooring company established in 1996. Based in Hoffman Estates, IL, we work throughout Chicago and its surrounding suburbs using our special dustless equipment that doesn’t pollute your home. We have built an excellent reputation and have many references from customers that have experienced the quality of our work. 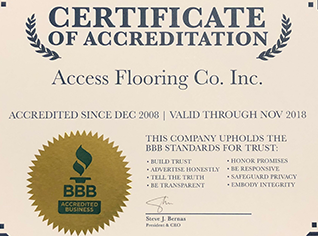 We, at the Access Flooring Inc. want to make sure that you, our customer, receive the value you expect in a beautiful, warm, rich hardwood floor. We do this by providing experienced professional craftsmen, top quality products and the assurance that we stand behind our product. Please take a few minutes to look around our site and find out more about why we are the answer for all your flooring needs.